Who doesn’t love a new notebook to jot down thoughts when inspiration strikes? And, a quilty covered composition book is even better! That’s why we’re swapping them (blind swap style) at the #EPICmeetup2015. 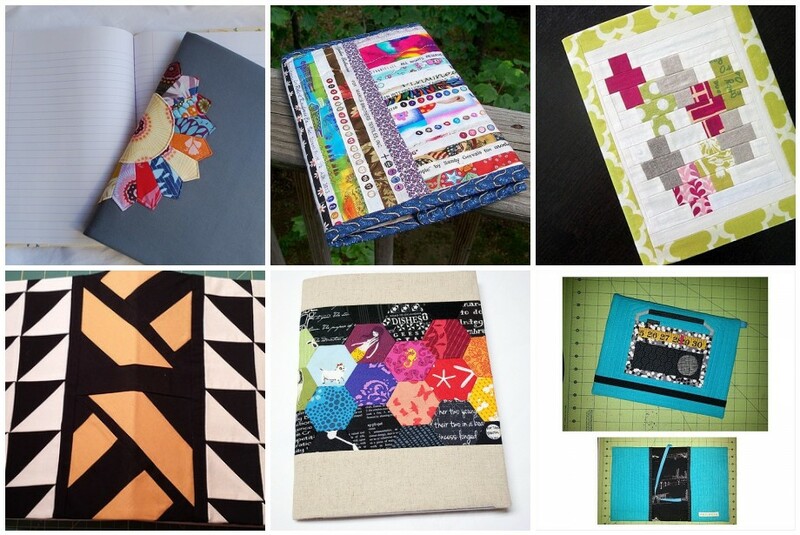 If you want to participate in this fantastic swap, please make a patchwork composition notebook cover and bring it to the EPIC meetup mixer party. Notebook covers should be pieced and quilted in a MODERN style. Amy Dame, of the Vancouver Modern Quilt Guild, wrote a wonderful tutorial for making a pieced composition book covers with several optional add on ideas (pen pocket, elastic closure, or a bookmark). As you’re working, please post pictures of your work on social media using the #EPICmeetup2015 hashtag! Notebook covers should contain a composition notebook and be placed in a closed paper sack for a blind swap. Don’t forget to place your name and contact information in the bag so the lucky recipient can find you! And, there will be no extra goodies in this swap. Have fun creating! 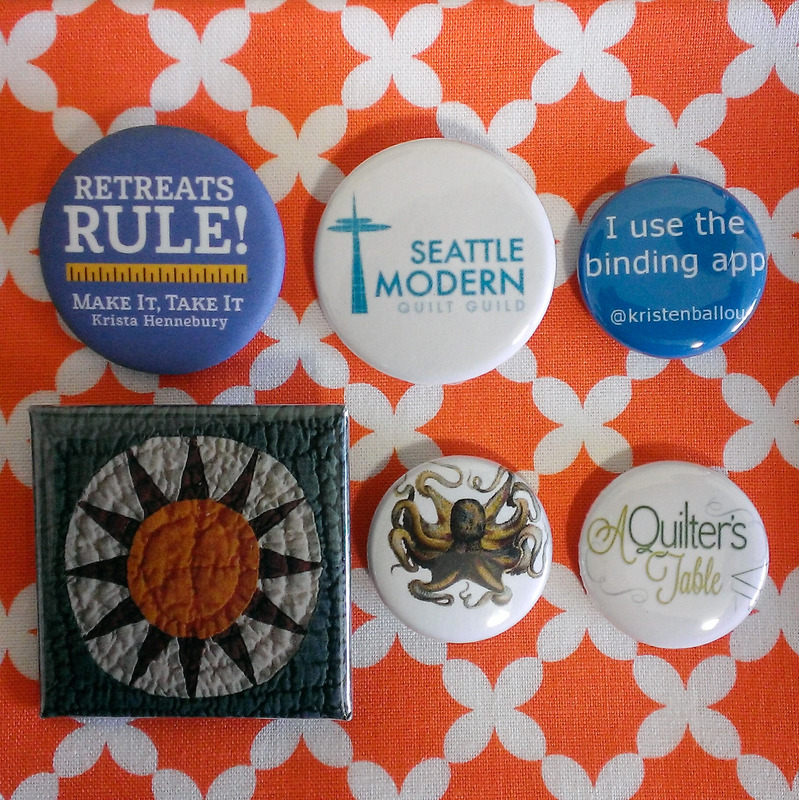 Some PNW MQG friends’ buttons swapped at QuiltCon. Happy memories! Just like at QuiltCon 2015, bring buttons to swap or give. They make wonderful souvenirs of new and old quilty friends.